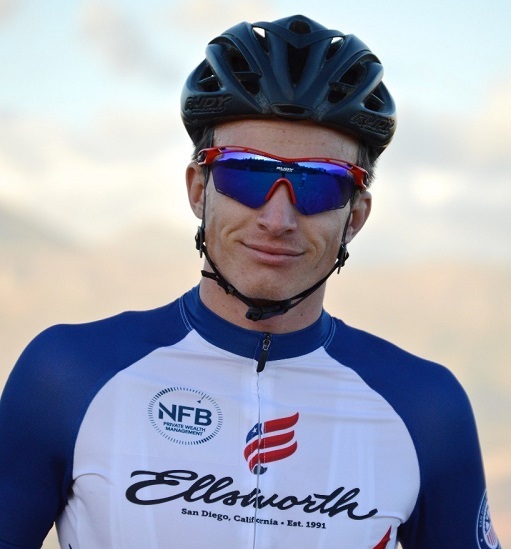 After enjoying the 2017 edition, editor Frans le Roux made his way to Darling for the fifth running of the Darling Brew Extreme mountain bike event.. 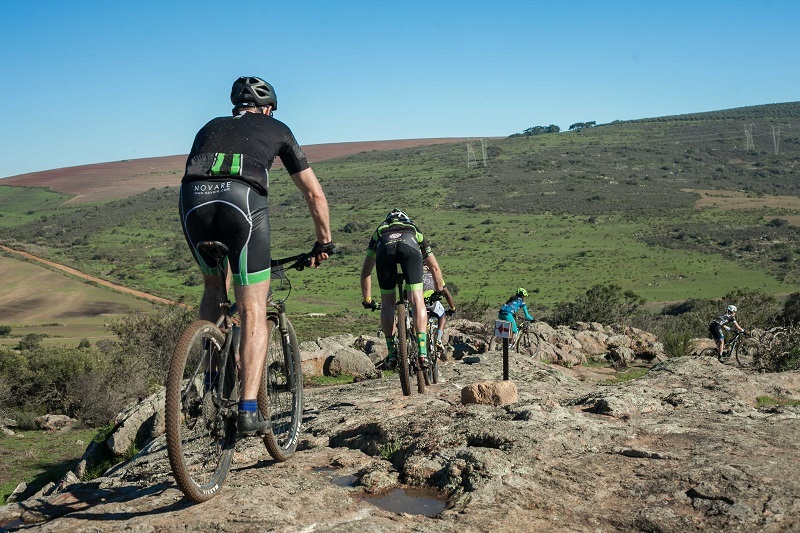 The 26th of May could not have rolled around fast enough as I waited in anticipation for the annual Darling Brew Extreme (DBX) mountain bike race. This year the event celebrated its fifth running and boy did the event live up to the hype once more. I was hoping to do the gruelling 70km event but after a lengthy period on antibiotics, I took the safer option and lined up for the 50km Long Claw route. With more than 2 200 riders taking part, you know the people at DBX are doing something right. 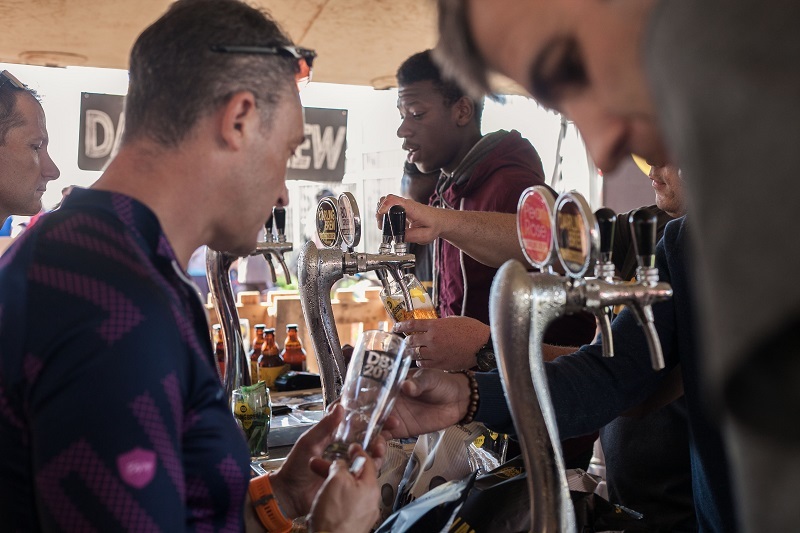 The stuff that they’ve built this lovely mountain bike festival on – delicious Darling Brew beers. I arrived super early on a very cold winter morning, but luckily fires were lit, and delicious hot coffee was on offer. After I consumed about three cups, I made my way towards the start chute. In the back of my mind I remembered the rain which came down back in 2017 as we started. This year the trails were in perfect condition. Some proper rain blessed the area prior to the event and this improved conditions. No dust, very little mud and naturally loads more grip in certain sections. 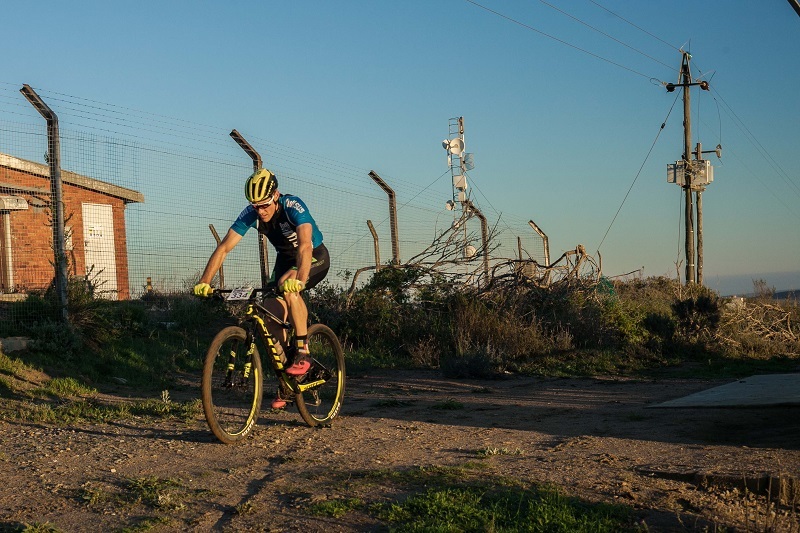 The 50km got underway in a different direction to the 2017 event as we meandered our way through town before the action started with the first singletrack climb of the day. We spent a good couple of minutes rudely awakening our cold legs before the climb ended. Lawrence von Gunten smashing the first tough climb of the 70km climb. We arrived on a farm where the gravel roads proved to be very slippery in places. Having safely navigated the mud, we were soon flying along an amazing piece of jeep track. Smooth rolling hills made for some crazy speeds along this section. The first tricky downhill singletrack caught myself and partner Andre Zandberg off-guard. While following his rear wheel, both of us nearly lost it when the trail was suddenly littered with rocks and some blind corners. While looking ahead (note to self – never do that again) we saw hundreds of riders walking up a steep climb. Andre and myself found a good line and decided to put the hammer down. The climb wasn’t too long but it was incredibly steep and lasted for a good couple of minutes. After some much needed rain, the Swartland looked spectacular. Arriving at the first waterpoint we barely stopped and made our way through some olive groves. Before I knew it, we were at my favourite piece of the route, the sublime Wolwefontein trails. More than 20km of flowing, tricky and beautiful singletrack lay ahead. At the “Groen Bankie” we encountered some congestion as some of the longer routes merged into the Wolwefontein’s trails. We flew up and down the trails for over an hour and enjoyed every minute. I also knew the last water station is the one we needed to stop at because … BEER! Yes, the last stop of the day saw myself and Andre enjoy some of Darling Brew’s best beers. Boy o boy, were they welcome! A hard three-hour slog to get there made those cold ones worth it. The last 10km were easy going as we rolled alongside the train tracks back to the brewery. A little over 3h30m later and we rolled over the finish line only to be greeted by yet another free beer! What a way to spend your Saturday! DBX, I’ll surely be back in 2019! 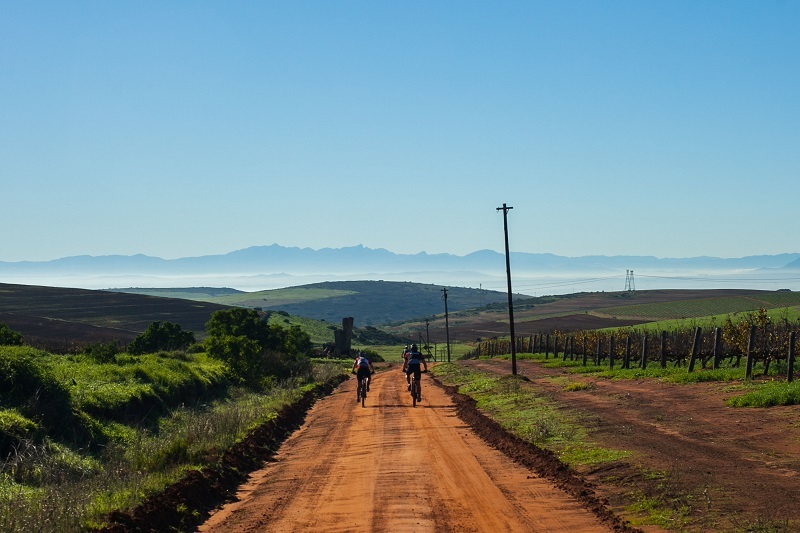 The 70km Darling Brew Bone Crusher event lived up to its expectations. The route was tough and very sticky with all the lovely rain we have received over the past couple of weeks in the Boland area. Out of the starting blocks we had a short neutral zone to hit the first uphill drag of the day that led up to the first big climb of the day. It saw us climbing about 200m in the first 9km of the race with a 1.8km section of 10.6% average gradient on a jeep track with some wet and slippery conditions. I was lucky enough to get a gap up the hill and ride away from the rest of the field. After summiting the hill, there was a couple of gnarly sections covered in a lot of moss on the compacted ground down the hill. It was quite nice going down some motocross tracks towards our next climb of the day. The rolling hills leading to the first waterpoint was quite a challenge, they were steep enough to break your momentum and long enough to make you sweat and force you to put down a good effort to keep your speed consistent. Heading into the latter parts of the race we were welcomed by the Wolwefontein trails that were really enjoyable and loads of fun before hitting the last climb of the day that had a cool waterpoint which offered free beer for anyone that needed the extra kick! We had some spectacular views all day long, the beautiful green Swartland showed off on a perfect day. The cooler weather played along to this perfect setting and great day. I look forward to seeing what the 2019 event will have in store!